Spain decided to consider the option of legalizing referendums on independence. Thus, the authorities of the country hope to cope with problems like those that cause Catalonia, said Foreign Minister Alfonso Dustis. His words convey BBC News. He specified that a referendum on this issue could be held in the kingdom. "We created a parliamentary committee to investigate the possibility of introducing into the constitution provisions that take into account the aspirations of some Catalans. But the decision should be taken by all the Spaniards, "the minister explained. The Catalan Parliament proclaimed independence from Spain on October 27. The decision was made by secret ballot. Before the beginning of the procedure, the hall was left by deputies from opposition parties opposing the secession of the region. 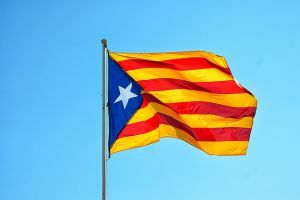 The Spanish government, in response to the decision of Barcelona dissolved the Catalan Parliament and introduced direct control in the rebellious region. Early elections are scheduled for December 21.